The Delhi High Court, considering a Public Interest Litigation (PIL) filed by a retired official of the DRDO, seeking directions to the Ministry of Defence, Government of India and the Defence Research & Development Organisation (DRDO) to prosecute the respondent no.4 Dr. Arvind Kumar Saxena working as Director in Defence Materials & Stores Research & Development Establishment (DMSRDE) Kanpur, Uttar Pradesh and other officers working in the said office of DMSRDE, under the Prevention of Corruption (PC) Act, 1988 on the basis of the complaints submitted him and conduct consequential investigation, has held that it cannot allow the tool of PIL to be misused for intra office rivalries and to enable one officer to score over another, especially when the authorities concerned are not found to be lacking. The Court added the caveat that in a given case, considering the gravity of the matter the Court may deem it appropriate to expedite the action and/or issue other directions in that respect but held on facts that in the case at hand no such directions were necessary. When the matter had earlier come up for admission, the Delhi High Court, finding that the petition was directed against a particular official i.e. the respondent no.4 and that the petitioner is a retired official of the DRDO and being apprehensive that the petition in the garb of public interest, may be to serve the personal interest and personal vendetta of the petitioner, instead of issuing formal notice of the petition asked the ASG appearing for the Central Government, Ministry of Defence and the DRDO, on advance notice, to inform the Court of the action if any taken on the complaints and otherwise in the matter. The Delhi High Court was informed that a PIL raising similar allegations had previously been filed before the High Court of Allahabad filed by one Mr. Navin Prakash Gupta and that the High Court of Allahabad had dismissed the said PIL on 21st May, 2015 observing that “No valid case has been made out for the exercise of the jurisdiction in the public interest. The petition appears to be filed to pursue extraneous ends and is not a genuine recourse to the jurisdiction in a PIL”. The ASG further submitted before the Court that a Fact Finding Committee had been constituted to go into the complaints of the petitioner as well as others against the respondent no.4 and the Report of the said Committee was handed over to the Court in a sealed cover. 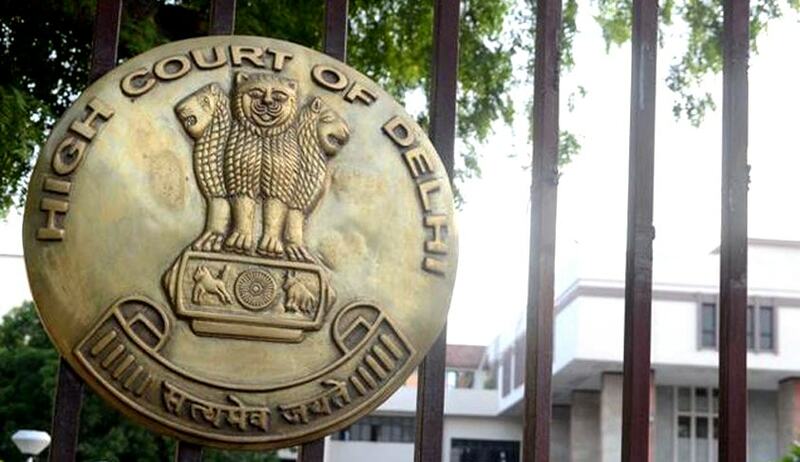 The Delhi High Court thereafter proceeded to observe that it cannot allow the tool of PIL to be misused for intra office rivalries and to enable one officer to score over another, especially when the authorities concerned are not found to be lacking. The Delhi High Court referred to, and relied on the decision of the Apex Court in Gurpal Singh Vs. State of Punjab (2005) 5 SCC 136 wherein it had bee held that PIL is a weapon which has to be used with great care and circumspection and the judiciary has to be extremely careful to see that behind the beautiful veil of public interest, an ugly private malice, vested interest is not lurking. It was held that the attractive brand name of PIL should not be allowed to be used for suspicious products of mischief. The Supreme Court had further held that when a particular person is the object and target of a petition styled as a PIL, the Court has to be careful to see whether the attack in the guise of PIL is really intended to unleash personal grouse. It was reiterated that in service matters PIL cannot be filed. The bench comprising of Chief Justice G. Rohini and Justice R.S. Endlaw accordingly disposed of the PIL with a direction to the respondents to take the Report of the Fact Finding Committee to its logical conclusion.